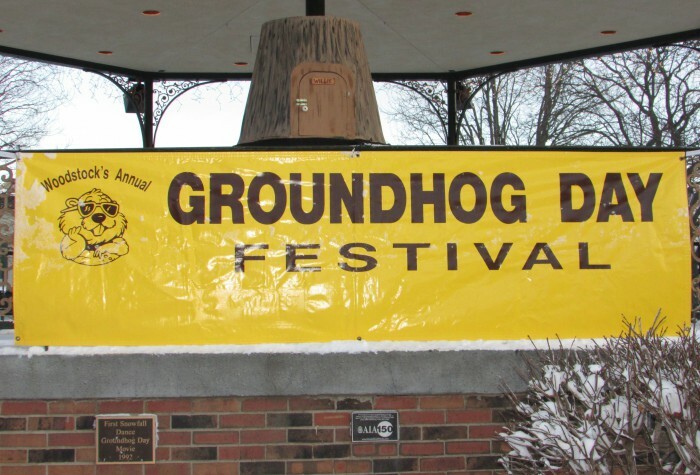 Even though we had a snowstorm going on Sunday, we decided not to cancel our plans to come, since Woodstock did not cancel Groundhog Day there. The storm was over around midnight, we woke to a cold, clear morning of 4 degrees. 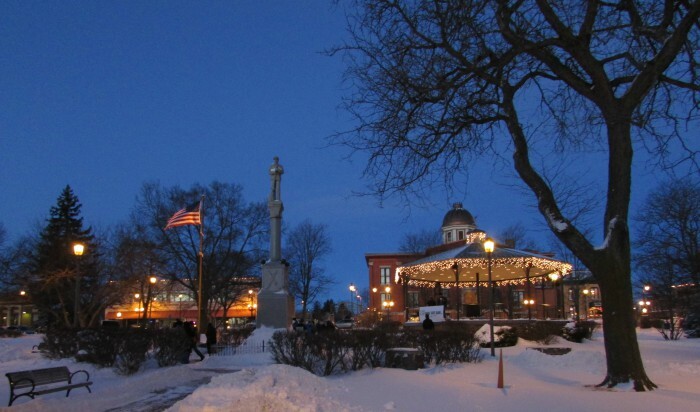 We arrived downtown on the Square around 6:30 AM, it was beautifully lit with icicle lights and the fresh snow (9 inches) looked beautiful. 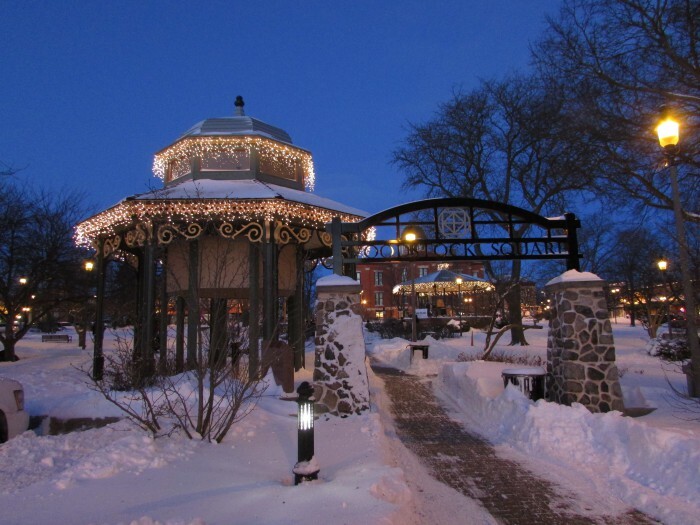 The city crew worked hard all night to clear the square and the rest of the street after the storm, they did a great job! 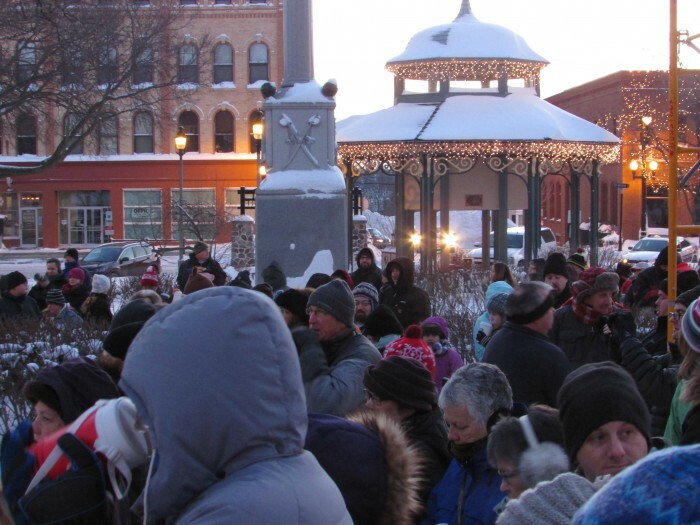 The crowd was gathering at “Gobbler’s Knob”, bundled up against the cold, at least the strong winds from last night subsided. 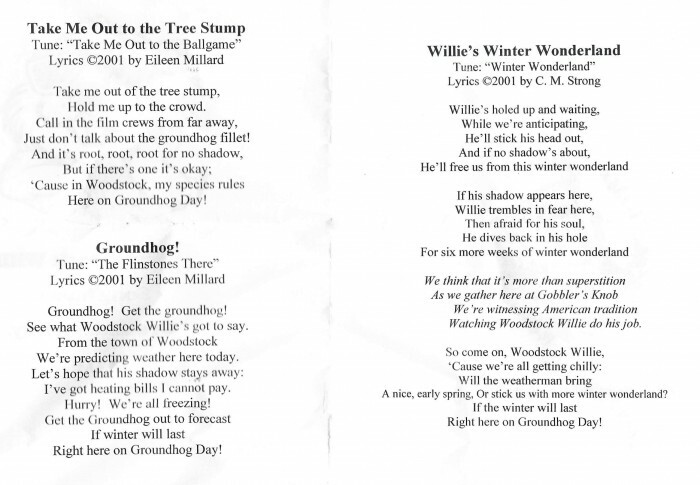 While waiting for sunrise, we sang some Groundhog carols. Woodstock Willie posed for pictures with the crowd too. Frank Jay and his Orchestra provided the musical accompaniment. It was time for the prognostication, the Inner Circle assembled in the gazebo and rapped on the door on Woodstock Willie’s tree stump. 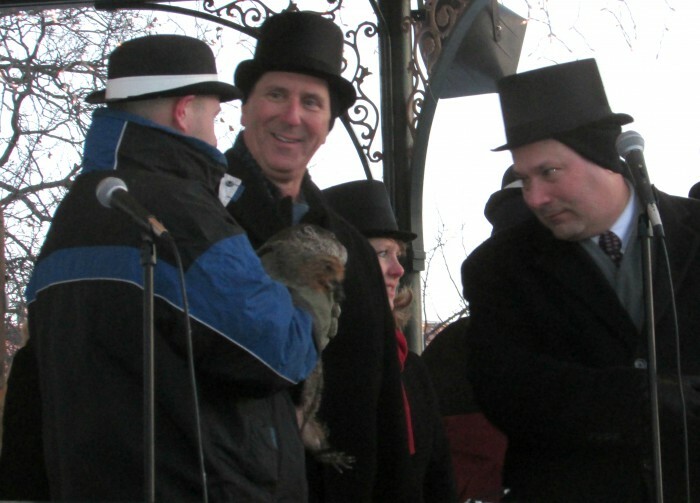 Mayor Dr. Brian Sager, who is fluent in Groundhogese, listens intently to Willie’s weather prognostication. Despite the news, we are in good spirits since the storm is over and the sunrise was beautiful. 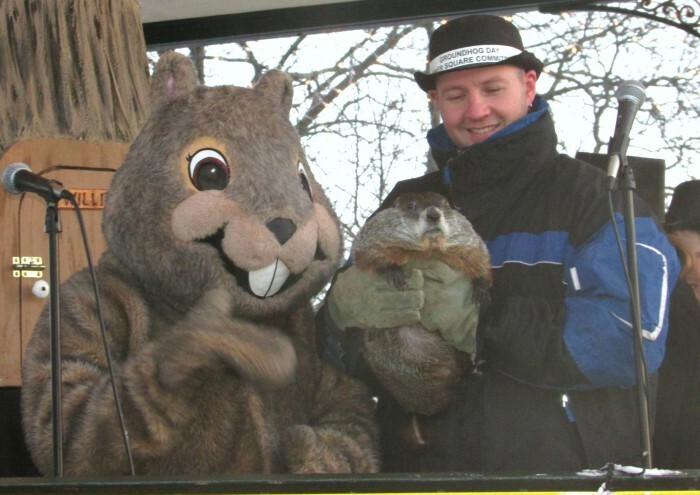 Both groundhogs greet their admirers afterwards, posing for pictures. 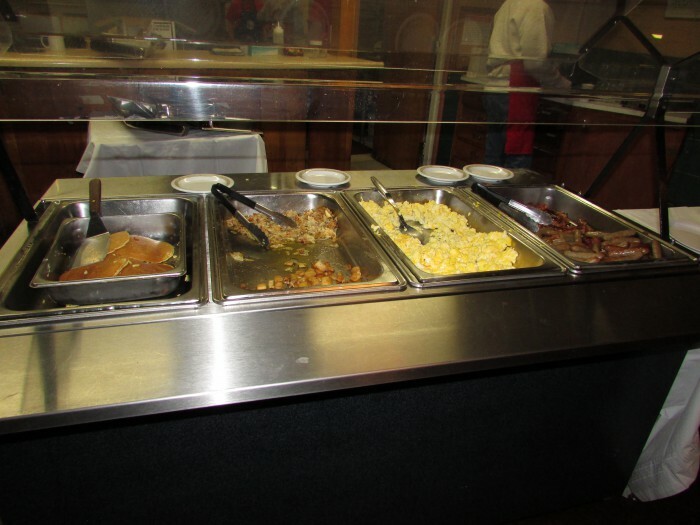 Our next destination is the Moose Lodge, where the Groundhog breakfast and entertainment continued. 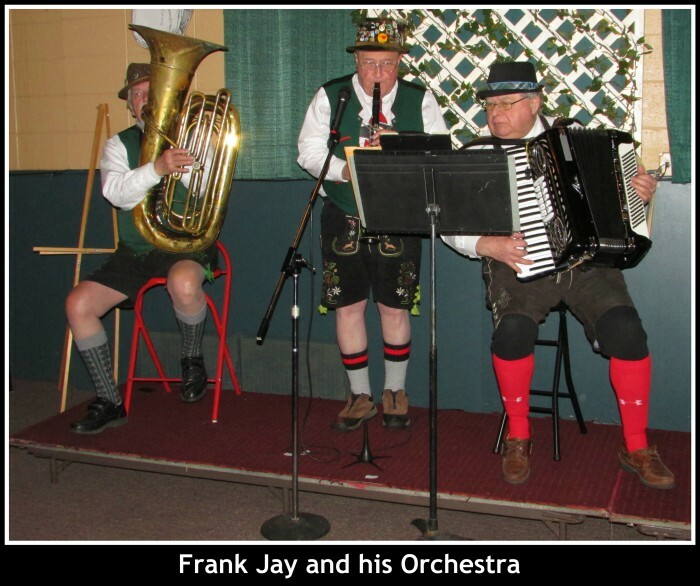 Frank Jay and his Orchestra played polkas while the Groundhog Day movie played silently on a TV screen. 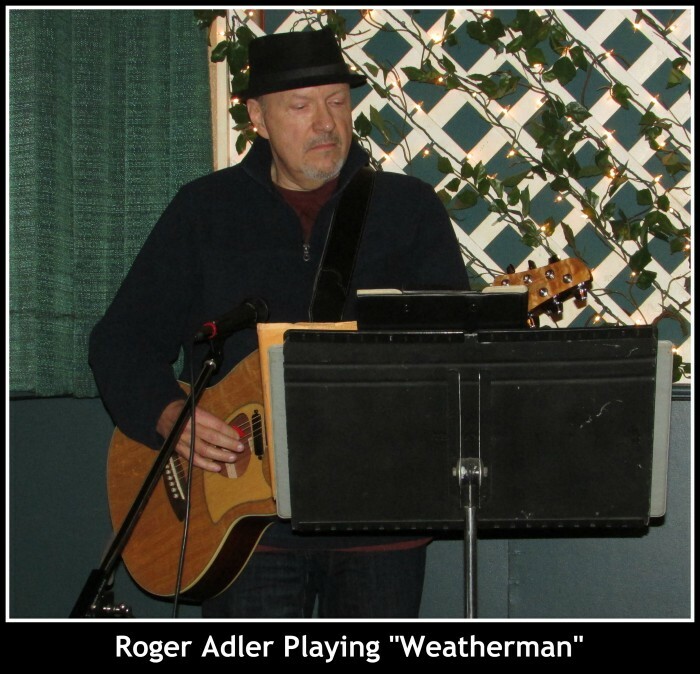 Roger Adler, who was one of the members of the band at the Groundhog dance in the film, sang “Weatherman” while playing guitar. 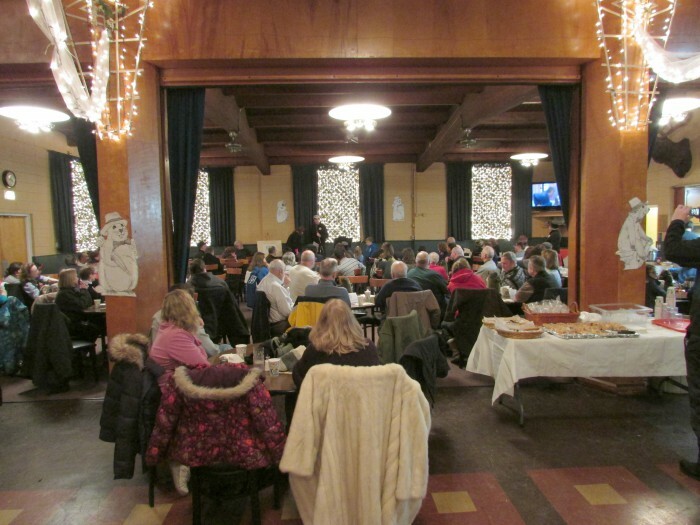 They also had a raffle and a trivia contest. 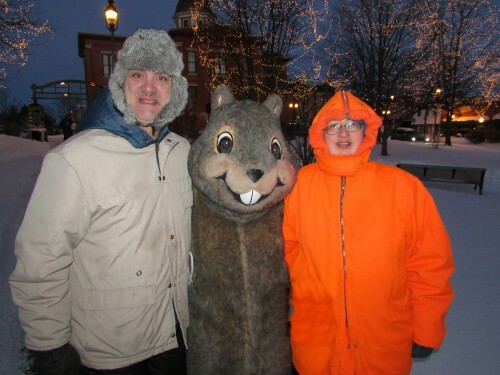 Bob Hudgins was also there, thanking the people of Woodstock and fans of the movie for continuing to welcome them back every year to help celebrate Groundhog Day. Also for the dedication of the new Harold Ramis Auditorium at the Woodstock Theater. He was the director of the movie. He passed away in 2014 at age 69. We also chatted with members of the Inner Circle, including Rick Bellairs, head of the committee responsible for planning and running this festival. 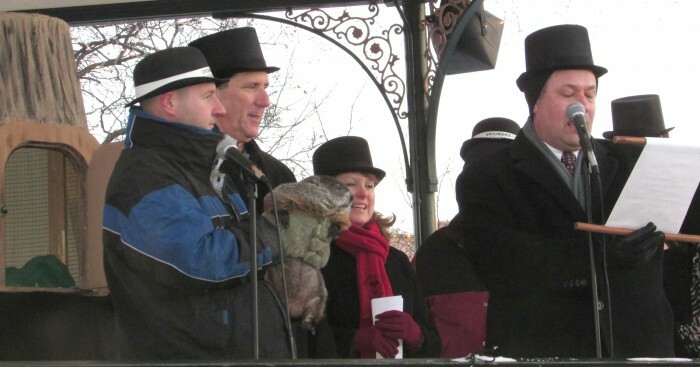 We will never forget the best Groundhog Day we ever had and the hospitality of the citizens of Woodstock. Be sure to enjoy the Walking Tour when you are in town, you can do that anytime you visit the city. The city is quite beautiful any time of the year. Thanks for the great pictures and notes. 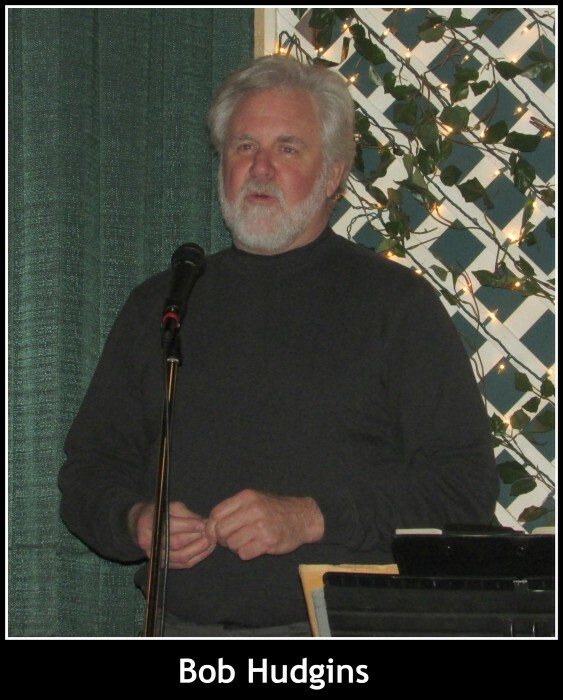 I attended the event this year for the first time since moving back to Woodstock after an absence of 40+ years. It was great fun and I can’t wait for next year. Hi Peggy, thanks for the kind words 🙂 I am currently writing a 3rd post about Woodstock, covering the historic buildings and businesses. Follow us if you would like blog updates 🙂 Have a great weekend! Are dogs allowed in to enjoy the festivities? They can help you better than I can. Thanks for your comment! For the record, we did not see any dogs about.